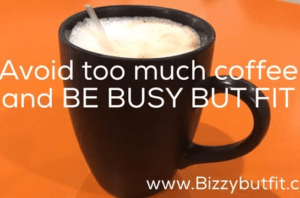 This post will tell you the tricks on How To Be Busy But Fit In Your Own Little Way. 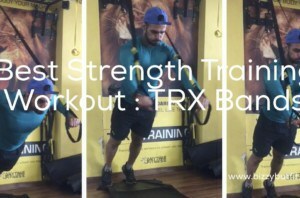 You always thought that to stay fit it requires many sacrifices and a lot of hard work in the gym. Well yes, it does !! 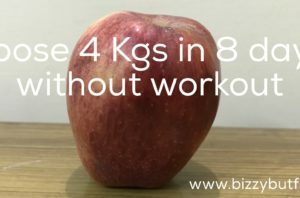 But it does not mean that you should not start your busy but fit journey thinking that you won’t be able to make it up. It is the fact that if being busy but fit were easy, everyone would do it. But many of you don’t actually have any energy left after coming to home from a log day of sitting in a chair for long hours. You are actually mentally tired rather than being more physically tired. There are a lot of mental walls that keep you demotivated to get ready for a walk, jog or a gym session. We have already shared a lot of ways to you to be busy but fit and we will always keep that doing for you and motivate you to be busy but fit. You have to break down all the barriers that you face in everyday life, be it stress, busy job, more than occupied family life, or anything else and be busy but fit. 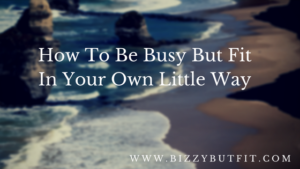 In this post, you will come to know How To Be Busy But Fit In Your Own Little Way. I know you have heard it many times and you are aware that this is a most needed thing you have to do, but how many of you actually out this to action. To make sure that you are not missing the adequate intake of water, Drink a big glass of water as soon as you wake up in the morning. It is advisable to keep a bottle of water with you throughout the day because having water with you will make sure that you skip the soda or any other packed flavored drink and you will save hundreds of calories. You have to stop doing this right now. It’s very simple, Just DON’T EAT CRAP. Keep your calorie intake low by eating only low-calorie foods. Make a note of what you are eating and then identify the foods that are stopping you or taking you away from your goals of being busy but fit and remove those crap food from your diet. Foods that include excessive oil, sweets, that take too much time to digest should be on the top of the removal list. Don’t ever think you are lazy. It’s okay if one of your friends is quite active with his/her workouts and very regular to the gym. Maybe you starting out and need some time to overcome all the laziness. You have to stay motivated throughout if you are just starting out. Being a beginner, you need much more motivation than those who are doing workout 5-6 days a week. I understand that you feel a time crunch every day and cannot workout. The recommendation is to walk at least 10000 steps every day to stay fit. But you cannot just track your steps manually until you have an app for that. 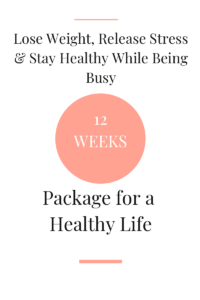 So the simplest way to keep a track of your steps that you just do not focus on the steps and make it a habit of walking more every day and staying fit. Many of the simplest ways can be adapted in day to day life to walk more and be less idle. Do not sit and waste your time during lunch breaks rather go for a 20 minutes after eating your lunch. Take a drop one kilometer before and take a walk back to your home while coming back fr0m office. Take a walk with your family after dinner and destress yourself. Stay away from steroids. They can give you the inspiring physique that you always wanted but with lots of side effects. Don’t just play around with your heal by taking steroids to get easy and quicker results. Your goal should be staying fit all life long and steroids are just a short term strategy which leaves you with side effects for the rest of your life. Keep it clean and always be busy but fit. It is always good to reach fitness and health goals one step at a time. You are always told to dream big to achieve unexpected results but when it comes to fitness, the approach should be to start with small term goals. You must have decided and promised yourself to workout at least 5 days a week for a minimum of an hour. But after a few days later, you tend to fall of that decision and stop going for workouts. It would have been more easy for you if you have just set up a small goal for yourself and started off with a small goal. 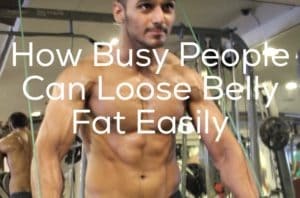 I hope you will follow the above post and also share this with your friends to let them also know the tricks on How To Be Busy But Fit In Your Own Little Way.